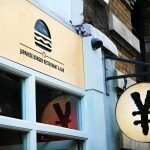 London’s new favourite spot for Japanese spiced Burgers. Welcome to the home of fresh made japanese burgers. With a distinctively eastern influence on a British classic, we are delighted to announce our opening on Wednesday 14th November 2018 for review. Led by thriving female food entrepreneur Yen Nguyen, and located at 1B Southwark Street, in London Bridge. This brand new concept will offer premium Asian-influenced burgers. Starting with the ‘Yen Burger’ which features a 100% wagyu beef patty, fresh pickles, smoked turkey bacon, cheese and shiso leaf, it’s the ultimate fusion burger and a great introduction to Yen’s offerings. 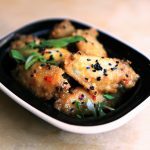 Other options include ‘The Finest Chick’ which combines coconut panko chicken breast and homemade slaw with the reviving shiso leaf and a zingy mango sauce. 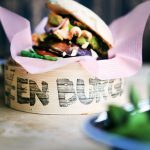 For guests with a meat-free diet the Tofu Burger is the perfect dish; served with the freshest tofu, aubergine, lettuce and garnished with coriander, it offers a lighter option whilst still keeping that great Yen flavour. 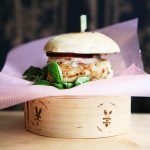 Each burger is fresh made in-house from the highest quality Aberdeen Black Angus or Wagyu beef, 100% sustainable cod or vegetable alternatives. 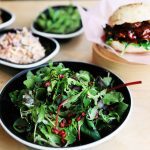 Alongside the hearty burgers, healthy side options include the crunchy Asian slaw, freshly steamed edamame beans or homemade chips and sweet potato chips. 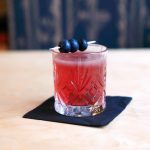 One of the other distinctively unique things about Yen Burger is its extensive Asian-influenced cocktail offering. 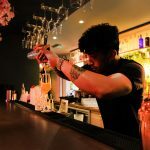 Served at the incredible cherry-blossom bar on the lower-ground floor, it includes signatures to Yen such as the Foreign Mint which fuses Jinzu Gin, sake, mint and basil, whilst the Long Night combines whisky, rum, Cointreau, vodka and ginger ale, making it the perfect tipple to finish (or start) off the evening. Interiors have been custom designed by renowned studio ID design, winners of the 2017 Ilva Design Award. The muted gold tones and paired back Asian design perfectly complement this unique twist on Asian cuisine. 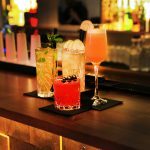 The space can hold up to 70 guests seated across two floors, with an additional bar area where guests can enjoy a signature cocktail and watch the chefs creating their favourite dishes. 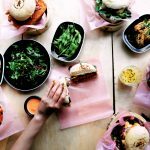 Yen Burger’s opening follows the success of its owner, Yen Nguyen, and her previous experience at some of the UK and Germany’s leading restaurants. 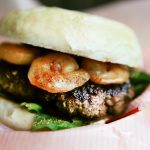 Yen comments “I am so excited to be opening Yen Burger and bringing my long held vision to life. I was always so influenced by my Mother’s Asian cooking, and could never go a day without it. 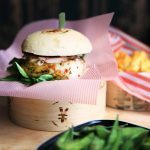 My experiences being raised across Europe mean I am inspired by both types of cuisines and therefore I want to create something truly unique – an Asian burger. 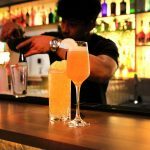 The opening of Yen burger is my dream coming to fruition and I am so excited to start welcoming guests into the restaurant”.